View more presentations from Kate Ahern. Many of our learners who have multiple disabilities we are often somewhat limited in what sensory pathways we can use to teach new skills or build cognition. Our students may be deaf, blind, have reduced tactile sensation, be unable to eat or even taste foods by mouth or be unable to participate in most vestibular and proprioceptive activities because of medical conditions like orthostatic hypotension or brittle bones. These means that the sense of smell may be the most powerful means of accessing our students skills. Most of us are sure to include the sense of smell in our cooking lessons, passing around the vanilla extract or onion for every one to sniff. Yet how can we include the sense of smell in other areas of the curriculum. 1. Consistently call attention to the scent of items in natural settings, if possible pairing the scent with another sense such as touch or hearing. Have your student notice the smell of the crayon while feeling its shape and making the movements for coloring hand over hand. Notice the odor of the playground ball as you roll it and bounce it. Observe the smell or the toothpaste and hand soap while doing activities of daily living. 2. If at all possible consider embedding scent into a visual schedule/calendar box system. A few drops of an essential oil like evergreen or gardenia can be added to the "outside" symbol, a minty toothpasty kind of smell added to the ADLs symbol or a lemony smell for vocational tasks that involve using citrus scented cleaners. 3. Ask people to try to stick to the same perfume, aftershave, scented lotion or or even deodorant so students can associate a person with a scent. 4. Attempt to embed scents into theme units. Learning about India? Introduce each lesson with the smell of curry. Learning about gardening? Introduce each lesson with the smell damp soil (put some in a baby food jar). Think about this when you plan out your unit. 5. 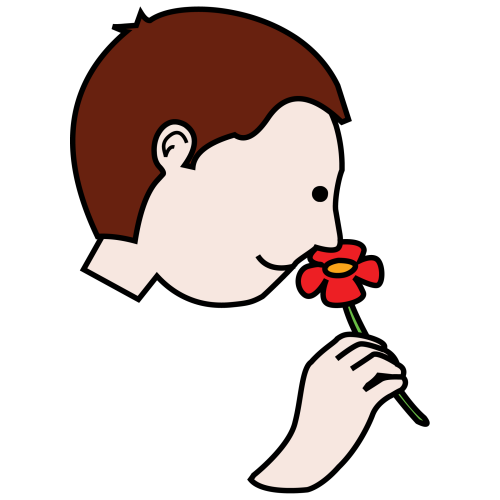 Using a systematic program (such as Every Move Counts) do a preference assessment on your student's favorite scents. You can then use this scent to reinforce learning activities. For example teaching switch use using a scent diffuser and an environmental controller. data collection and analysis on device use, access, language used, etc. Check these out and add you boards and activities. 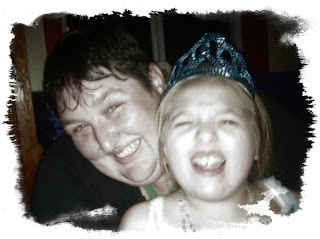 These groups are for those of us who work with individuals with severe, profound or multiple special needs. Activities which use creativity to teach functional skills that also meet alternative assessment standards are especially welcome! Several companies have announced new ways for those with physical or multiple disabilities to access the iPod and iPad. Here is the list of what is currently on the market. As special needs teachers we get asked questions about all sort of topics. After all special needs teachers are generalists who need to know a little bit about and awful lot, and a LOT about quite a few things. Glasses for children with special needs is one of those things that comes up. Here are some places you may want to direct parents. Miraflex's Flexible and Safe frames are solid, flexible, unbreakable for infants to older children and at least one style for adults. Solo Bambini offers solid, one piece, flexible, unbreakable glasses for babies through adults. These glasses are also non-magnetic and thus can be worn in MRI machines and by those with programmable shunts or VNS devices. They also offer other styles and brands of pediatric glasses. Tomato Glasses are light, adjustable, flexible, shockproof, non-slip and retain the shape of the wearer. Sizes in infant through adult. Spokiz has Rx glasses and sunglasses with special inter-changable flexible arms they call bands. They are supposed to be non-slip, extra durable and help to avoid pressure points. 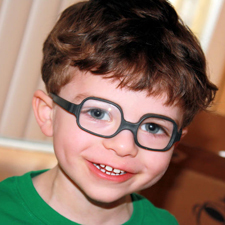 Specs4Us has glasses in all sizes which are specifically designed for children and adults with Down Syndrome. Ficklets are glasses charms, super cute and fun! Templelocks slide over the end of the arm of your glasses to help stop them from slipping. Croakies makes a wide range of glasses straps and retainers and other accessories for kids and adults. Enabling the iPad for everyone. AbleNet’s Keynote access solution unlocks the power of the iPad mobile device for users with significant physical disabilities. Keynote provides cutting edge accessibility, brilliant sound and exceptional design to create a one of a kind solution for the iPad. 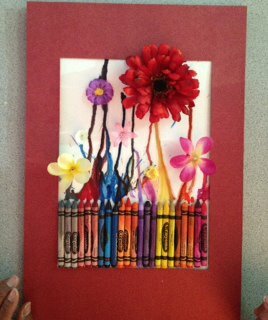 One of my awesome readers, Rhonda, sent in this picture at my request in the revised version of the, "Melted Crayon Art with Switches" post. Isn't it beautiful? She and her student used their switches to make it. Rhonda's kind email with the photo got me thinking. I took down quite a few pictures and posts in my revision to get back online. If other readers also sent me pictures of things they created based on something they saw here then some of the posts could go back up! -anything else you created because of something you read or saw here!